Barbara Branden has died. The Los Angeles Times obit is here. Preservation of Orthodoxy. Some Objectivists, following Leonard Peikoff's example, wish to preserve orthodoxy. They desire to prevent other individuals from introducing innovations into Objectivist doctrine. This fear of innovation does not merely stem from a mania for preserving Rand's doctrine in its immaculate, unpolluted form. There may be other motives in the business that intensify the (essentially non-rational) need for doctrinal purity. One important but underrated motive involves competition for status and resources. Most Objectivists would like to believe that many, if not all, schisms are motivated by genuine "philosophical" differences. This is hardly likely. The schism with Kelley, for instance, is often framed as developing over issues of doctrine. Kelley, it was argued, wavered from "true" doctrine. He was guilty, essentially, of heresy. 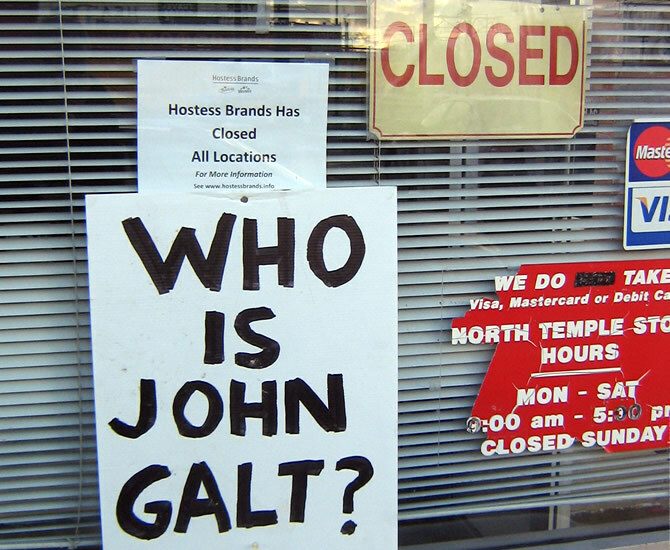 He was not a "true" Objectivist, but an enemy of Objectivism. Although the official reason for Kelley's dismissal was for speaking in front of a libertarian group, some have suggested that the real reason had more to do with Kelley sanctioning a positive review of Barabara Branden's Passion of Ayn Rand. However, there's probably more to it than that. The positive review of Branden's book, written by Robert Bindinotto, was published in 1986. The Peikoff-Kelley schism didn't take place until three years later. The official reasons for the schism are surprisingly flimsy. Late in 1988, Kelley gave a speech at the Laissez-Faire Supper Club in Manhattan. In 1982, Peikoff had been involved in two book signings with Laissez-Faire books. So why is it okay to have book signings with libertarians, and not speeches? Is there really a significant difference between a book signing and a speech? Authority in Objectivism. One of the challenges for ARI moving forward is to deal with the problem of authority. In any organization there are bound to be conflicts between various individuals. Many, if not most, of these conflicts cannot be resolved by "reason" (i.e., rational argumentation). Rational thinking, at best, can only resolve differences about matters of fact. It cannot resolve differences arising from moral preferences (and all moral ends are preferences). Consequently, conflict is inevitable, even between people pretending to be "rational." Inevitably, Objectivists will disagree with one another. If the disagreements involve competition for resources and/or status, they may become quite heated. How are these conflicts to be resolved? An organization devoted to spreading an ideology is not compatible with “freedom” for its leadership to contradict or undermine that ideology. In theory. the best judge of such contradiction would be the person(s) , if he exists, who best understands and upholds the ideology, as evidenced objectively by his lifelong intellectual consistency, philosophic attainments, and practical results. In practice, the best judge would be the person, if he is still alive, who founded the organization and defined its purpose, in this case as a step in carrying out a mandate given him by Ayn Rand. On both counts, only one individual qualifies: me. The logic of this argument could be extended to cover any conflict, not just ones arising from intellectual criticism of one of Peikoff's pet projects. Because of Peikoff's unique position as the heir of Rand's estate and the individual who, among the living, "best understands" Rand's ideology, he was the obvious choice to occupy the role of Objectivist pope. Peikoff, however, will not be around forever. After Peikoff leaves the scene, who will be "best qualified" to fill the necessary role of authority at ARI (and, by implication at least, of the orthodox Objectivist movement)? Intro. Having gone through most of the official philosophy of Objectivism, we can now turn our attention to some of the cultural and sociological aspects of the Objectivism movements. There are two major challenges to making prognostications about the future of Objectivism: (1) the future is inherently unpredictable; and (2) lack of sociological data about Objectivism. For these two reasons what is put forth in this series will be highly conjectural. We'll be dealing with possibilities, not facts, questions, not answers. (1) That Objectivism does not exist in a vacuum. What goes on in society and the world will affect the future course of Objectivism. We saw this on a small scale in 2008, with the financial meltdown followed by Obama's election. These events caused sales of Atlas Shrugged to increase. One can imagine scenarios which could potentially decrease interest in Ayn Rand: for example, major attacks on USA involving weapons of mass destruction, catastrophic climate change, collapse of democratic government in America. (2) That the political allegiances are rarely made based on purely "rational" reasons. Nearly everyone has ingrained biases, some of them rooted in genetics, others in life experiences, which influences political beliefs. Consequently, it is very difficult to get people to change their political beliefs via argumentation. It rarely happens. (3) That factionalism is a built-in feature of society. The elites of society are involved in a battle for status and pre-eminence. Non-elites will tend to attach themselves to whichever party of elites best furthers their interests and satisfies their sentiments. The competitive nature of society means that people have no choice but to join forces with like-minded individuals. The few mavericks who refuse join one of the major factions remain isolated and powerless, without a voice within the governing factions. (4) That the Objectivist movement requires an authority figure to settle inevitable disputes. 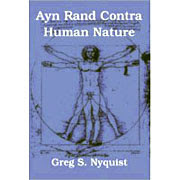 Since Ayn Rand's "reason" is a myth (there's no such method), and since the Objectivist ethics is a bit vague (lacking, as Nathanial Branden has noted, a "technology"), there exists no sure-fire way of settling the inevitable disputes that arise among various Objectivists in a rational, "objective" manner. Only by having an authority respected by all members of the group can meddlesome issues be arbitrated. I intend to vote for whatever Republicans in my district are running for the House and the Senate. Republican control of at least one of these bodies, however weakened they have become, is still some restraint on Obama if he wins. How did the Democrats go so quickly from being "avowed anti-ideologists" to supporters of "a destroyer for the sake of destruction"? How have the Republicans been transformed from a "philosophic movement rapidly and righteously rising to take over the government" to the only force capable of exercising "some restraint" on Obama and the Left? The rationalist core of the Objectivist Epistemology. Ayn Rand defined rationalists as "those who claimed that man obtains his knowledge of the world by deducing it exclusively from concepts, which come from inside his head and are not derived from the perception of physical facts." Since Objectivist theory rejects this approach, Objectivists have always believed that they were free from the rationalist taint. However, there is a problem with the Objectivist approach to this issue. If we go by the Objectivist definition, who actually qualifies as a rationalist? Which philosopher, thinker, ideologue obtains all his knowledge of the world exclusively via deduction from concepts, entirely free from the perception of physical facts? In practice, no one does this. It would be impossible. So, practically speaking, who is in fact guilty of rationalism? What, specifically, do those of us who dislike rationalism and criticize it at every opportunity object to? The critics of rationalism object to the practice of determing complex matters of fact through "logical" deductions from over-generalized descriptions of facts. Use of over-generalized facts is often a symptom of insufficient knowledge. People who lack mastery (i.e., relevant factual knowledge) of a given subject don't realize the extent of their ignorance. They are therefore incapable of appreciating why their conclusions are false. The problem with rationalism, therefore, is not that the rationalist derives conclusions without factual evidence, but that he derives conclusions without sufficient evidence. The rationalist suffers from empirical irresponsibility. I have already noted Rand's conflation of identity with understanding. In this passage Rand is guilty of conflating meaning with reference. This conflation is hardwired into the very warp and woof of the Objectivist epistemology. It is implicit in Rand's mania for establishing the "validity" of concepts. Remember, for Rand, concepts are knowledge; which means they must have a reference in reality (for if they did not "stand" for something in reality, they could not be regarded as knowledge.) If we follow the (implicit) logic in the Objectivist epistemology, unicorn is an "invalid" concept because it has no referent. For Rand a "valid" concept must have both a meaning and a reference. Do advocates of the ASD really propound an "opposition" between logic and experience? Perhaps some do; but without giving examples, Peikoff is merely issuing an unsubstantiated assertion. The ASD grew out of distinctions generated by Hume and Kant. These philosophers were attacking rationalistic speculation (what Kant called "pure" reason). They were not, however, banishing logic from human cognition. Let's examine this paragraph sentence by sentence. Analytic-Synthetic Dichotomy 13: Is contingency necessary? Objectivists tend to be overly fond of accusing their philosophical opponents of the "stolen concept" fallacy. If some philosophers insists "Nobody can be certain!" an Objectivist is bound to retort: "Can you be certain of that!" What is lost is such facile refutations are the nuances and depth of rigorous philosophical discourse. Stolen-concept "refutations" constitute a philosophical short-cut that fails to do justice to either side in the debate. "Ayn Rand Contra Human Nature" and the ARCHNblog have their critics. Some have the decided advantage of having read the book. Some have not, but following in the footsteps of Ayn Rand herself do not see this as much of a obstacle to voicing a strong opinion. A recent critic, Elliot Temple, happily falls into the former category. He has reviewed the book here at his blog, and has also posted it in various Objectivist-friendly corners of the internet. While his review is somewhat lengthy and more than somewhat unfavourable both to the book and to us personally, we are happy to link to it here and let readers make up their own minds as to its merits. All we would note is that Temple is a rare and interesting bird in the Objectivist aviary in that he is both a fan of Objectivism and Karl Popper's Critical Rationalism, two philosophies that are ostensibly opposed. We also advise readers in advance that Temple bills himself as "the best living philosopher", so perhaps we should be flattered to get his attention. Because It Really Can't Be Said Often Enough. "The doctrinal structure of Randism is bluff, buttressed by abuse of all critics." Analytical-Synthetic Dichotomy 10: Peikoff's Argument. In a previous post, I criticized Peikoff's theory of meaning, which asserts that "the meaning of a concept consists of the units ... it integrates." This Objectivist theory of meaning, as I noted in that post, contains both platonist and positivistic aspects. It separates meaning from individual intent and turns concepts into quasi-platonist entities that literally transcribe the world. As a theory of meaning, it is not merely absurd according to the the standards of good sense, but even in terms of Rand's own philosophy. To be sure, Objectivism contains its fair share of absurdities. However, many of Rand's metaphysical and epistemological doctrines, if interpreted generously, have at least an aura of plausibility about them. They at least attempt to pay lip service to common sense and practical efficacy. But the Objectivist theory of meaning seems bad all the way through. It's not only bad philosophy, it's bad Objectivism as well. It is not consistent with Rand's own theory of "unit economy," or with Rand's career as a writer of fiction. Meaning cannot be confined to the literally true, as Rand's theory of meaning, if it were consistently applied, would demand. Analytic-Synthetic Dichotomy 3: Definitional Arguments. One of the principle philosophical vices of Objectivism is a mania for rationalizing on the basis of tautologies. Closely associated with this is a concomitant mania for rationalizing on the basis of definitions. This in large measure explains Rand's doctrine of immaculate definitions (i.e., her belief that definitions can be true or false). The problem with definitional reasoning is that it begs the question. Instead of basing arguments on facts, it bases it on definitions; and definitions, which only define word usage, are "arbitrary." "Logically impossible? Of course -- granted your definitions. You're merely saying that, no matter what proportion of the market it controls, you won't call a business a 'coercive monopoly' if it occurs in a system you call 'capitalism.' Your view is true by arbitrary fiat, it's a matter of semantics, it's logically true but not factually true. Leave logic aside now; be serious and consider the actual empirical facts on this matter." Doubts arise, of course, as to whether Peikoff has accurately related the professor's argument. But even if this professor said what Peikoff claims he said, the professor nonetheless has a point. Objectivists do in fact tend to resort to definitional arguments. Such arguments suffer from the fallacy of begging the question. Grant someone's definitions, and the rest follows, logically. But since definitions merely establish what one means by the words one uses, this is not enough.